It all started on April 20,2013 when I began to do research for weight loss surgery online. BeLiteWeight was the first thing to pop up and I decided to click on it. I called the number that they had listed and spoke to Ishi, a very nice, sweet and helpful lady. She was always there returning my call back and answering every question that I had. My surgery was on 5/21/2013. My experience at the hospital in Tijuana was amazing, never have I felt like a queen in a hospital.The nurses were very caring and always there to help you out. About the surgeons, I can't describe how amazing they were. They explained to me the whole process of the procedure and were very detailed about it. Yes, I was scared but everything just came out perfect. I was walking the hospital halls TWO hours after my surgery with no pain and feeling GREAT! A little over 5 months later and I've lost 66 pounds*. 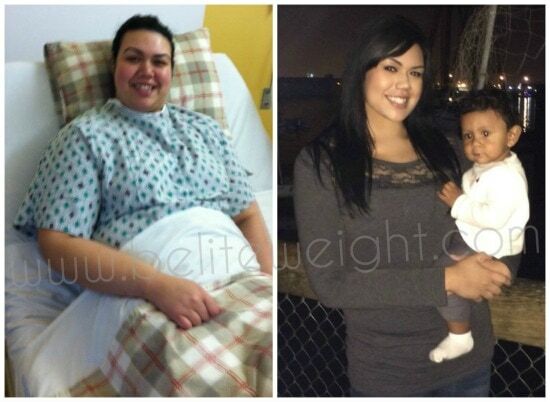 Getting the gastric sleeve by Dr. Rod and Dr. Elmo was my best decision I have ever made. I have no regrets. I'm at my lightest weight that I've ever been and nothing has ever felt as good as being healthy and almost "skinny" lol.